Every business owner should have an advisor they can depend on for trusted legal advice. At Althauser Rayan Abbarno, LLP we have a combined 50 years of experience providing quality legal representation on behalf of businesses throughout western Washington, southwest Washington and the south Puget Sound regions. Whether we are representing a multimillion-dollar corporation or a small business owner, our firm provides the same standard of dedication and care. We take time to understand a client’s objectives and take a measured approach toward the pursuit of those objectives. Our firm has been built on the foundation of strong client relationships that endure over time. We work hard to provide the highest standard of legal services to each person and business we serve. 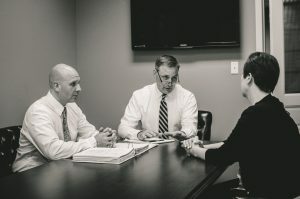 If you need to speak with a lawyer about a business law matter, we encourage you to contact our firm to schedule a consultation. To reach our law office call (360) 736-1301.